In this study, the researchers presented evidence that a couple of commonly used anaesthetics can alter protein folding and cause protein aggregation, which could provide a mechanism by which these anaesthetics may affect neuronal function after a surgical procedure has finished. Que?!? Anaesthetics change protein folding and aggregation? How is this relevant to Parkinson’s? We often speak of a protein on this blog called Alpha Synuclein (it even has its own page – click here to see that page). Alpha synuclein sounds like the name of a distant galaxy, but it is an extremely abundant protein in our brains – making up about 1% of all the proteins floating around in each neuron. It is also widely considered to be one of the villains in the Parkinson’s. By itself, alpha synuclein is considered a monomer, or a single molecule that can bind to other molecules. When it does bind to other alpha synuclein protein, they form an oligomer (a collection of a certain number of monomers in a specific structure). In Parkinson’s disease, alpha synuclein also aggregates to form what are called ‘fibrils’. There is a growing pool of research emerging that suggests the oligomer versions of alpha synuclein are having a key role in Parkinson’s. They lead to the generation of fibrils and may themselves cause damage. It is also being proposed that the oligomer versions of alpha synuclein is being passed between cells – and this is how Parkinson’s may be progressing. Once inside a cell, these transferred oligomer versions of alpha synuclein are causing other ‘natively unfolded protein’ monomer versions of alpha synuclein to become oligomers, which either bind with other oligomers to form fibrils or move on to another cell. The oligomers that bind to each other inside the cell and remain there are believed to be the catalyst of ‘Lewy bodies‘. 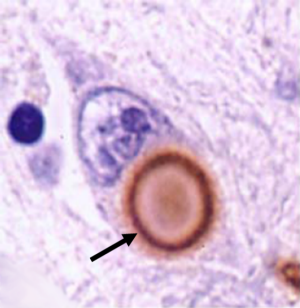 The brain of a person with Parkinson’s is characterised by the presence of tiny circular clumps of alpha synuclein (and other proteins). These structures are called Lewy bodies. They are particularly abundant in areas of the brain that have suffered cell loss, such as the region containing dopamine neurons. Now, for a protein like alpha synuclein to do its normal function inside a cell, it must be folded into a particular shape. And given that cells expend a great deal of energy on protein production, there is a necessity for each protein to be folded correctly. If it is not folded correctly (perhaps due to a genetic mutation), this can lead to the appearance of ‘misfolded‘ proteins. 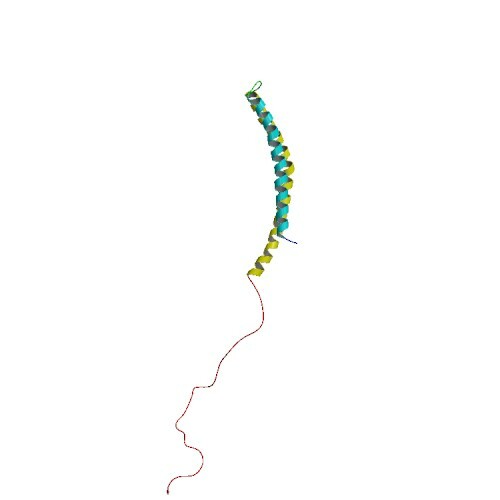 Misfolding of the alpha synuclein protein is believed to be involved in the production of the oligomer version of the protein (Click here to read more on this). Ok, and this new research suggests that some anaesthetics alter protein folding and cause aggregation? Yes. But it must be noted here that the research does not involve alpha synuclein (or any other Parkinson’s-associated proteins). So please don’t start jumping to conclusions and taking the research out of context. I see. What exactly is anaesthesia? 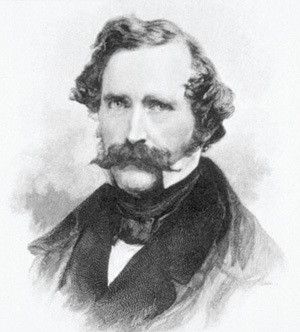 “Anaesthesia” – first coined by Oliver Wendell Holmes (1809–1894) in 1846 from the Greek an-, “without”; and aisthēsis, “sensation” – is the inducing of part or all of the body to loss of sensation. When anaesthesia is applied to just a part of the body, it is called a local anaesthetic, while when it is given to the whole body, it is called a general anaesthetic. 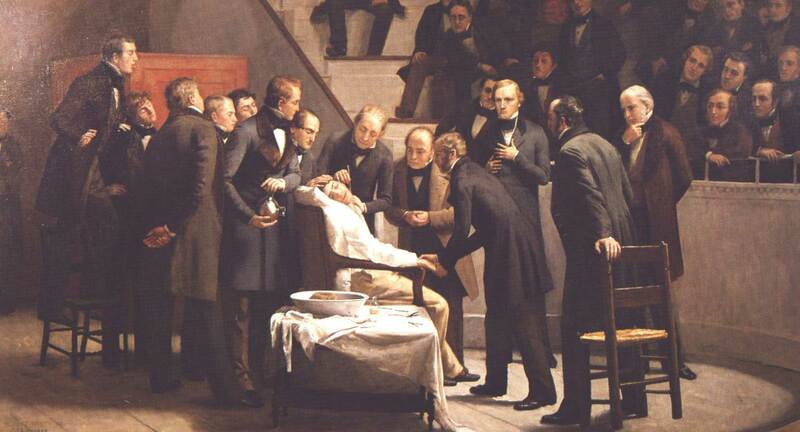 There is also a third form of anaesthesia. It is called twilight anaesthesia. It is a technique in which a mild dose of general anaesthesia is given to a subject to induce anxiolysis (or anxiety relief) anterograde amnesia (inability to form new memories). The patient is not completely unconscious, but they are sedated. An individual who is under this “twilight state” will be relaxed and sleepy, but still responsive in that they will be able to follow simple directions by the doctor. They will have no memory of the events during the procedure though (this twilight anaesthesia was new for me too – click here to read more about it). Local anaesthetics block the ability of nerves in a particular area of the body to communicate. This prevents those nerves from sending pain signals to your brain. Local anaesthetics (such as Novocaine or Lidocaine) achieve this by blocking the sodium channels in neurons. This limits the nerves ability to send an action potential – an electrical impulse that is conducted along the branches of neurons. And what about general anaesthetics? How do they work? Soooo, it is definitely fair to say that a lot less is known about how general anaesthetics work compared to local anaesthetics. And this is the situation, despite the fact that they have been used for more than 150 years now. The most commonly used general anaesthetics are administered via breathing. They are thus referred to as inhaled (or volatile) anaesthetics. They are generally of a similar structure to ether – the original anaesthetic used by our man William Morton (mentioned near the top). The primary site of action is in the brain, but they inhibit nerve signalling via a mechanism that is very distinct from that of local anaesthetics. The general anaesthetics cause a reduction in nerve transmission at the level of the synapse. This is the site at which neurotransmitters are released and exert their effect on neighbouring neurons. But here is where things get a bit fuzzy in our understanding. You see, precisely how inhaled anaesthetics actually inhibit synaptic transmission is not fully understood (reassuring stuff, huh?). And there is a good reason for this: general anaesthetics bind very weakly to their site(s) of action, this means that it is very difficult to determine where exactly they are acting. It also means that very high doses of the anaesthetics are required to achieve an anaesthetic state, and this results in many proteins being affected, which further muddies the water with regards to the actual site(s) of anaesthetic action. Ok, so what exactly do the researchers report in their study? In their study, the researchers from Toronto wanted to study how anaesthetic agents affect neuronal function. Wait. Do anaesthetics affect neuronal function? Yes. In fact, Post-operative cognitive dysfunction (or POCD) occurs in approximately 1/3 of patients who have undergone a major medical procedure requiring general anaesthesia (Click here to read more about this). Yeah, that number kind of shocked me too. But this is part of that ‘non-beneficial’ effects of anaesthesia I was referring to in the intro. Authors: Monk TG, Weldon BC, Garvan CW, Dede DE, van der Aa MT, Heilman KM, Gravenstein JS. In this study, the researchers wanted to document the frequency of post-operative cognitive dysfunction in patients who had undergone major surgery (other than cardiac surgery). They gave a brief battery of neuropsychological tests to 1,064 participants. The testing was administered before surgery (within 14 days of surgery), on the day of hospital discharge (or at 1 week after surgery if still hospitalised), and 3 months after surgery. 41.4% of surgical patients aged >60 years. The good news is: in most of these cases, these issues reduced with time. BUT, three months after discharge, almost 13% of the patients over the age of 60 still had POCD (compared to 5.7% and 5.6% for the younger age groups, respectively). The researchers were quick to note, however, that the “likelihood of POCD is higher in special patient groups, e.g., those with coronary atherosclerosis or pre-existing subclinical dementia”. The occurrence of complications during the surgical procedure or pre-existing cerebral/cerebrovascular disease appear to be important risk factors for POCD. It should be noted that for most people, POCD is generally considered a transient disturbance. But the researchers in Toronto still wanted to investigate how anaesthetic agents could be affecting these neuronal functions. OK, so the Canadian researchers wanted to know how anaesthetic agents affect neuronal function. What did they do? In their study, they used a protein called Phox2B. Phox2B is a protein that is involved in the development of our bodies, particularly parts of our nervous system. Genetic mutations in the gene that produces the Phox2B protein are associated with Congenital Central Hypoventilation Syndrome (or CCHS, also known as Ondine’s Curse). CCHS is a condition that causes a person to hypoventilate (breathing below normal levels, especially during sleep), which results in a shortage of oxygen and a buildup of carbon dioxide in the blood. This genetic mutation in the Phox2B gene provided the researchers with the opportunity to investigate the effects of anaesthetics on neurologic conditions because it has been reported that the onset of CCHS can be brought on by exposure to anaesthesia during routine surgery (Click here to read more about this). 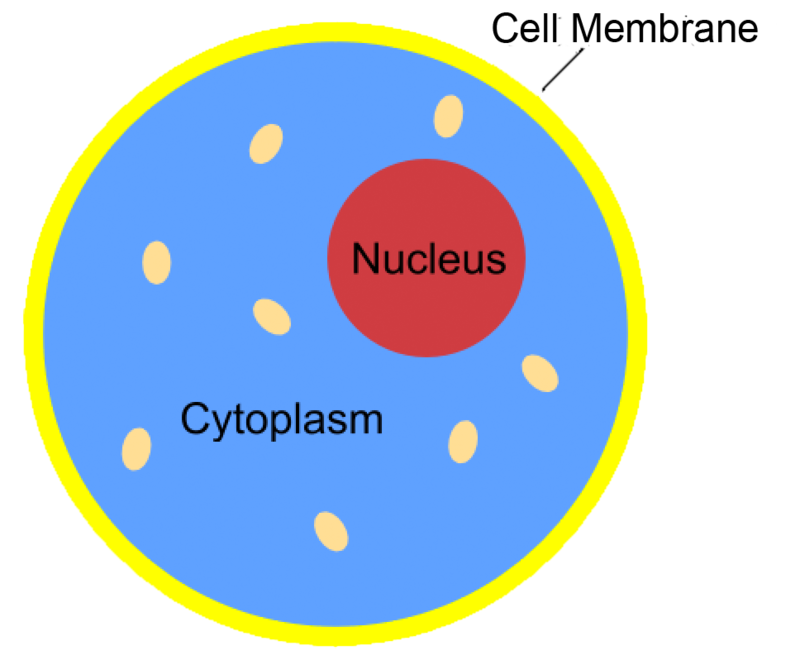 And previous research has demonstrated that during CCHS, the mutant Phox2B protein clusters (or aggregates) in the area of the cell outside of the nucleus (called the cytoplasm – Click here for the research). This is rather strange because normal Phox2B protein is usually only ever found in the nucleus. Given that exposure to anaesthesia can cause CCHS, the investigators looked at what happens to mutant Phox2B protein in cells exposed to various anaesthetics. What they found was that in cells that have the CCHS-associated genetic mutation (30Ala) in the Phox2B gene, they saw very clear aggregation of the protein in the cytoplasm. In the image below you can see the nucleus of the cell in aqua blue, and Phox2B protein stained in red. 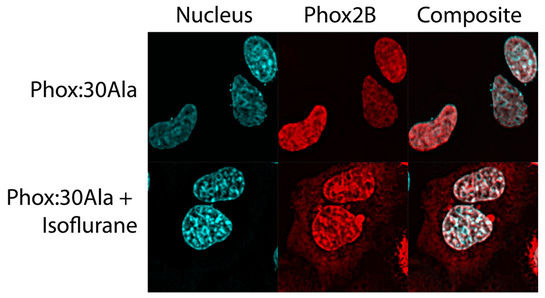 In cells not exposed to anaesthetics (the top row), the red mutant Phox2B protein stayed overlapping with the nucleus, while in cells exposed to the anaesthetic isoflurane (the bottom row), there is an obvious increase in the amount of mutant Phox2B protein outside of the nucleus. When the researchers looked at other anaesthetic agents, they found that morphine had a smaller but still statistically significant effect, and interestingly the very commonly used anaesthetic propofol had absolutely no effect. So this aggregation effect appears to be specific to particular anaesthetics. To investigate how isoflurane in particular may be promoting this protein aggregation, the researchers looked at proteins that are present in ER stress pathways. What are ER stress pathways? 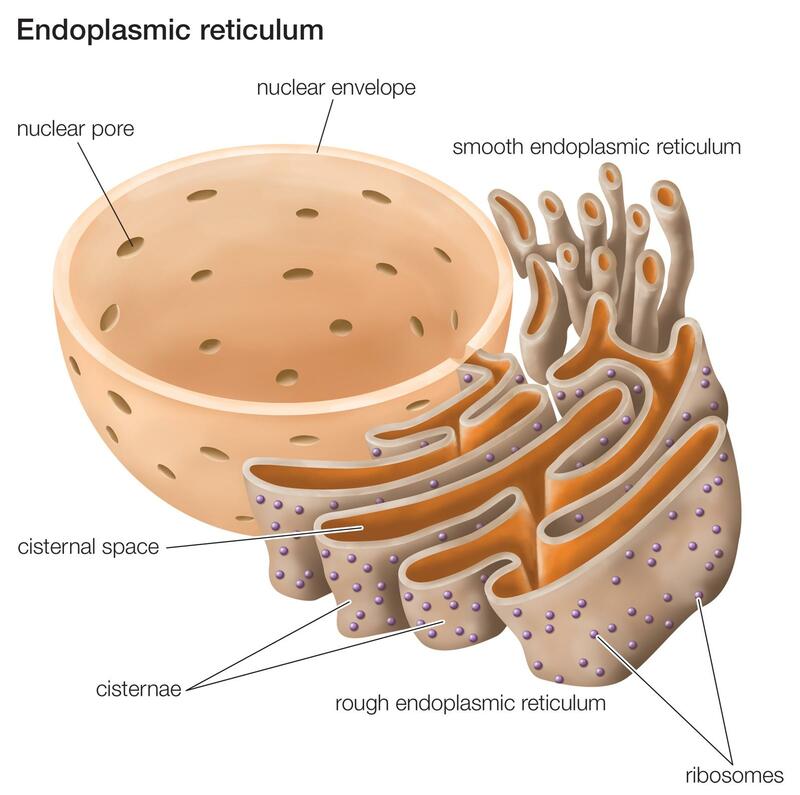 The endoplasmic reticulum (or ER) is the assembly line where proteins are produced in a cell. It is closely attached to the nucleus of the cell. When a cell is under pressure (or attacked), things start to change in the ER very quickly. So finely tuned is the assembly line of the ER, that as soon as there is trouble for the cell to deal with then unfolded proteins start to pile up in the ER and this causes ER stress. In response to the accumulation of unfolded/misfolded proteins and ER stress, cells initiate the unfolded protein response (or UPR). What is the unfolded protein response? The UPR is a shutdown in protein production. By blocking general protein production, a damaged or stressed cell can have the opportunity to either recuperate or be eliminated (if the damage is beyond repair). It is a protective mechanism triggered by rising levels of misfolded proteins. The unfolded protein response gives a cell time to stop protein production, degrade & dispose of any misfolded proteins, and then re-activate proteins involved with increasing the production again. When the Canadian researchers looked at what happens to protein involved in these ER stress pathways, they found that isoflurane induced aggregation of Phox2B resulted in increasing ER stress and activation of the UPR. They also found that isoflurane exposure resulted in problems transporting certain proteins and affected the activity of those proteins in the cell. …and this is where I’d like to say “Humbug“. It is very rare that I give an opinion on a piece of research on this website. I prefer to just present the research and let the readers decide for themselves. And the fact that I am even writing ‘humbug’ makes me feel very dirty. But this research report has disturbed me for one simple reason. I am not doubting the science, the research, or the very talented investigators who conducted it. Rather, I am disturbed by certain wording in the research report. 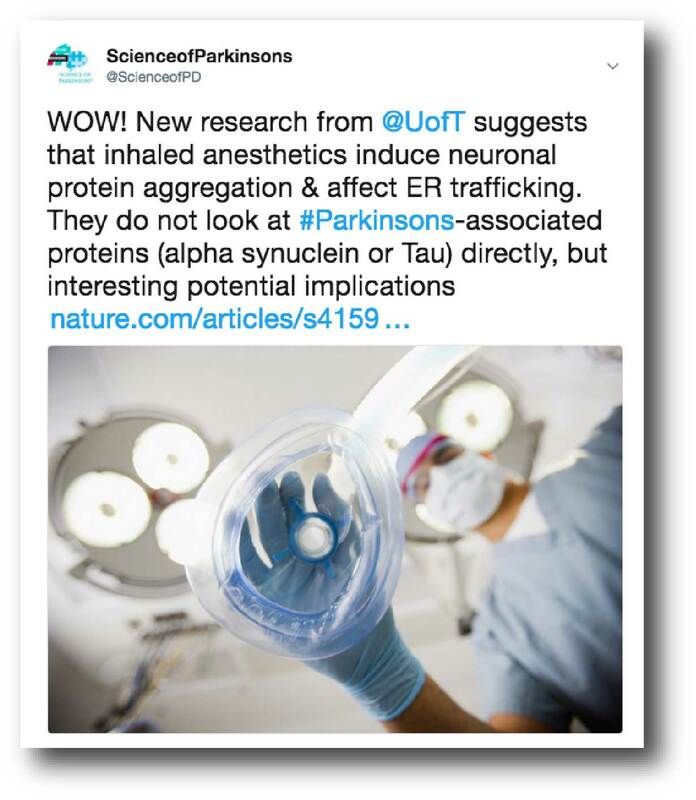 For example, the title “Inhalational anesthetics induce neuronal protein aggregation and affect ER trafficking” makes a grand claim suggesting that this protein aggregation effect is a common property to all inhaled anaesthetics. But the data does not suggest this at all. The study only tested three anaesthetics (propofol, isoflurane, and morphine) and only the first two of those are inhaled anaesthetics – one of which (propofol) DID NOT cause protein aggregation (despite the fact that both propofol and isoflurane share a common mechanism – they both bind to the same receptor (GABA-A)). In addition, the title suggests ‘neuronal protein aggregation’, but the results indicate that only the mutated form of one particular protein (Phox2B) aggregated after isoflurane exposure. Normal Phox2B protein did not aggregate – even after 4 hours exposure to isoflurane. The wording of science is critical. It is the difference between the research being meaningful & useful and the research freaking people out. And I am not singling out the investigators here. The responsibility of wording belongs not only with the researchers writing up their report, but also the peer-reviewers of the research (who should have flagged such wording) and the publishers who will occasionally sensationalise the wording in order to increase the potential audience. And these sorts of statements naturally get people upset (This is me acknowledging that I made a mistake and that I should have worded that tweet more delicately). The aggregation effect that is reported in this research report is very interesting, but as the data suggests it is not applicable to all anaesthetics nor all proteins. And further research investigating this phenomenon is required. So there is nothing to worry about regarding Parkinson’s and anaesthetics? Authors: Krauss JK, Akeyson EW, Giam P, Jankovic J. Journal: Anesth Analg. 1996 Aug;83(2):420-22. In this case report, the researchers described two people with Parkinson’s who underwent surgical procedures (while off L-dopa treatment). Temporary sedation with the anaesthetic propofol induced dyskinesias in both individuals. And in both cases, the dyskinesias subsided within minutes after the propofol was stopped. Title: Propofol-induced dyskinesias controlled with dexmedetomidine during deep brain stimulation surgery. Authors: Deogaonkar A, Deogaonkar M, Lee JY, Ebrahim Z, Schubert A. In this case report, a 58-year-old man with a 10-year history of Parkinson’s was undergoing deep brain stimulation surgery. During the past 2–3 years, he had developed severe dyskinesias and the goal of surgery was to improve this situation. The night before his surgery, all anti-Parkinson’s medications were stopped. On the morning of surgery, the anaesthetic midazolam was administered so that his head could be placed into the stereotactic frame for the surgery. But the midazolam caused severe dyskinesias (lasting for 10 minutes) and then subsided. After arriving in the operating room, another anaesthetic propofol was injected. Within minutes, the subject again experienced violent dyskinesias. Propofol was stopped, but the dyskinesias continued for the next 5 min. These problems were prevented and the surgery could continue due to the use of a sedative (dexmedetomidine). Do these sorts of reactions also occur in people without Parkinson’s? Midazolam-induced abnormal movements have been reported in non-Parkinsonian individuals (Click here, here and here to read about examples of this). Similarly propofol has been reported to cause movement issues for normal healthy individuals (Click here and here for examples). Ok, I am about to have surgery and I have Parkinson’s. What can I do to reduce these effects of inhaled anaesthesia? And what considerations should be made for my situation? He is a Professor of Cognitive Neuroscience Brain & Mind Centre, Sydney Medical School. Recently, he and Daniel Roberts (also University of Sydney) published a very timely and extremely thorough review of “Considerations for general anaesthesia in Parkinson’s” that is useful reading for specialists dealing with Parkinson’s affected people who are undergoing surgery. In their review, Prof Lewis and Dr Roberts cover everything from pre-operative considerations through to adapting medication regimes. If a reader with Parkinson’s is about to undergo surgery, they could speak with their surgeon and ask them to read/consult this review article. In addition, in the Canadian research report reviewed in this post, the investigators were very keen to try and reverse/reduce the effects of isoflurane on protein aggregation. 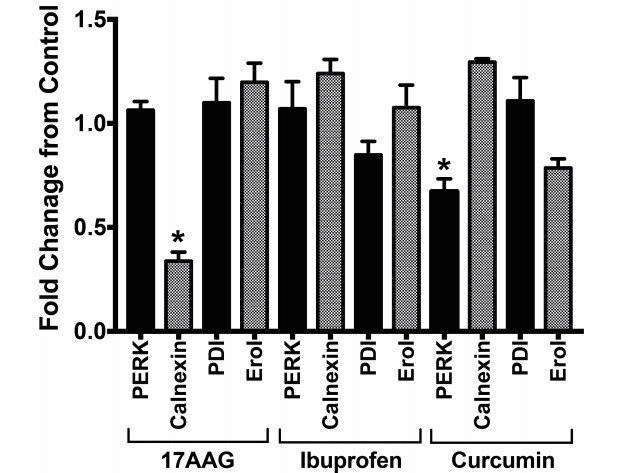 They investigated the effect of curcumin (anti-oxidant and anti-protein aggregation natural product – click here to read research on this) and ibuprofen (a painkiller that has previously been reported to reduce protein aggregation – click here to read research on this – AND ibuprofen use has been shown to reduce the risk of developing Parkinson’s – Click here to read more about this). They found that both ibuprofen and curcumin were able to significantly reduce the ER stress and UPR activation by isoflurane. In the graph below you can see the change in various ER stress and UPR-associated proteins (compared to untreated isoflurane exposed cells). 17AAG – also called Tanespimycin – is a derivative of an antibiotic. It was also investigated in this study, and had the same effect as ibuprofen and curcumin. But none of these three compounds were able to stop or reduce isoflurane-induced mutant Phox2B protein aggregation, even when the cells were pre-treated with these agents (for 48 hours) prior to isoflurane exposure. This week, researchers in Toronto presented interesting evidence suggesting that several commonly used anaesthetics can alter protein folding and disrupt protein production in cells. Given that protein misfolding is associated with many neurodegenerative conditions – including Parkinson’s – this news has led to many people panicking and flooding the email accounts of poor bloggers of Parkinson’s research with concerns regarding an upcoming operative procedure and desperate requests for an explanation about what the research actually means (as well as possible remedies). I hope this post has curtailed some of those concerns and reduced that levels of panic in the streets. And new information should not be a cause of panic, particularly where the presented data may not even apply to Parkinson’s. It will be necessary for this new isoflurane-induced aggregation phenomenon to be replicated by independent research groups. It will also be interesting to see in follow up research on this topic whether Parkinson’s associated proteins (mutant or normal proteins) are affected by any anaesthetics. Until those research results have been provided, please speak with your doctor if you have lingering concerns. great article simon & personally timely. anyone know how to get past the paywall to read “Considerations for general anaesthesia in Parkinson’s” ? Glad you liked the post – sorry for the delayed response. I am sure that if you email Prof Simon Lewis directly (http://sydney.edu.au/medicine/people/academics/profiles/simon.lewis.php), he would be happy to provide you with a preprint copy of the article. Interesting. My dad had Parkinson’s, and it hit his ability to walk the hardest. He woke up from a surgery and that was it, he could never walk right again. It took a long time to get the Parkinson’s diagnosis because everyone thought it was just a slow recovery from the surgery. Dad had chemo awhile before this surgery, and I mentioned to the surgeon during one of the follow-ups that I thought the chemo was the main culprit in triggering his Parkinson’s. The surgeon corrected me and, in her experience, she thought it was the anesthesia from that surgery that was the major trigger. That surprised me. 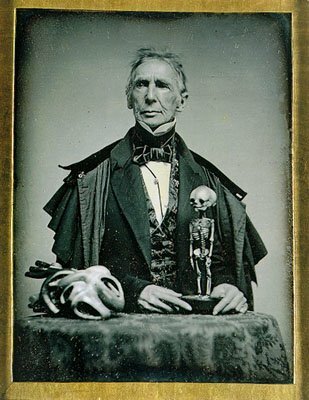 I appreciate the tips at the end on things that might help in some cases, thanks for all the blog posts here, much appreciated! Thanks for your comment – glad you found the post interesting. Sorry to hear about your father’s story. Interesting to read though that the surgeon thought the anesthesia could have had an impact. Regarding chemotherapy, there have actually been case studies in which people have developed Parkinsonisms – those are Parkinson’s-like features such as tremors – during chemo treatment (for example: https://journals.lww.com/oncology-times/Fulltext/2001/12000/Chemo_induced_Parkinsonism_Controlled_with.20.aspx). Chemo treatment has also reduced the effectiveness of Parkinson’s therapies in certain cases, requiring the need to increase doses (https://www.ncbi.nlm.nih.gov/pubmed/14712777). 4/5 hrs of GA in 2017 for a much needed and successful cardiac ablation moved my left hand resting tremor into my right hand and chin – I was in a confusional state in recovery and the progression was obvious after recovery. So open and shut case for an association with a PD abrupt progression. Risks discussed with anesthetist on the day. Not on PD meds at the time (dx 2014). Length of GA probably a factor. Thanks for sharing your story. Much appreciated. I am intrigued with the idea that the general anesthesia could have an impact so quickly in these cases (yours & the cases discussed in the post above). I am left asking myself: What does that tell us about Parkinson’s?